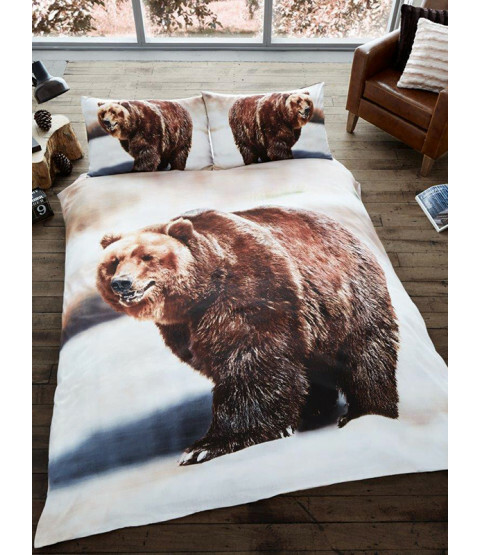 This stunning 3D Bear single duvet cover and pillowcase set is ideal for any animal lovers. 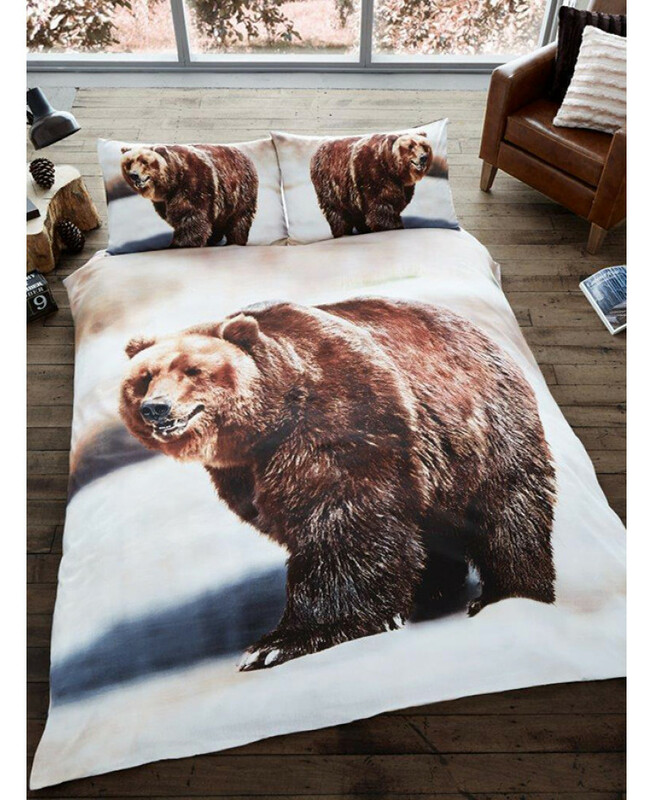 The detailed design features a fantastic photographic style print of a beautiful brown bear set on a neutral backdrop. This duvet cover set is made from a cotton mix and can be machine washed and tumble dried on a low setting.